Coastal Gallery Lymington is delighted to stock a selection of Caroline de Rothschild luxury soaps, hand-made on the Exbury Estate, Beaulieu. 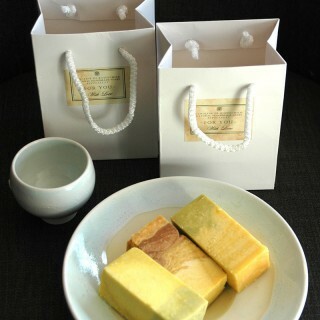 Bev and Stewart have chosen bespoke‘ His’ and ‘Her’ soap bags, each containing four different soaps. The soaps are cold-pressed from entirely natural ingredients, including virgin olive oil, palm oil, coconut oil, shea butter and avocado oil – good enough to eat! The soap bags retail at £16 each and are flying out of the gallery! Caroline de Rothschild makes her luxurious hand-made soaps in the Old Dairy on the Exbury Estate, Beaulieu, home to the famous Rothschild family since 1919. In what was Caroline’s art studio – she is also a highly accomplished botanical illustrator – Caroline makes her soaps using traditional methods, and only the finest natural ingredients. These include olive oil, palm oil, coconut oil, shea butter and avocado oil. The wonderful fragrances are created from natural essential oils, herbs and spices – lavender, rosemary, peppermint, citrus and cinnamon, to name but a few. 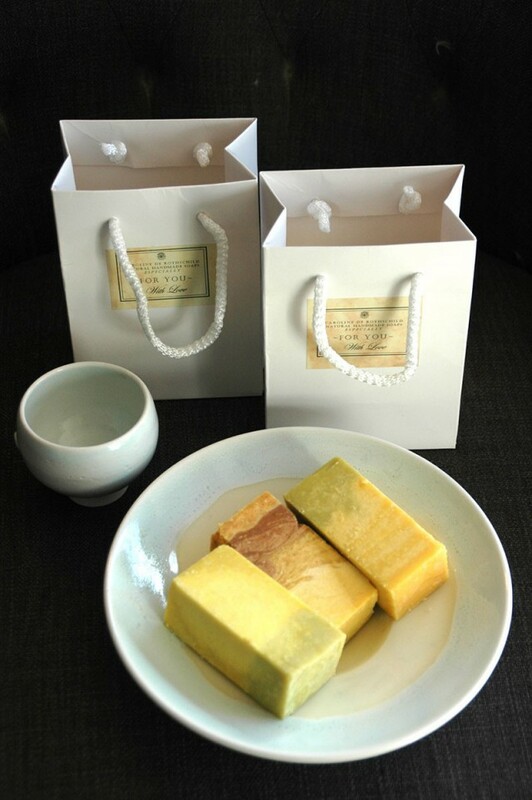 Not only do the soaps smell wonderful – they look wonderful too. Random stripes of mauves, yellows, soft greens and terracotta – treats for the senses. Coastal Gallery is delighted to stock bespoke ‘His ‘and ‘Hers’ soap bags, each containing four luxury soaps and retailing at £16. You won’t want to give these gifts away!